So, this all started when, through the kindness of a smart and generous publicist working for Diageo, two bottles of very good vodka found their way to my door. Ketel One is the solid and very popular brand of premium liquor you probably all know, with its bright, clean taste. With a bit more complexity and bite than we usually associate with what was once marketed as “white whisky,” certified organic Moon Mountain Vodka, a small batch liquor, also came my way. Both are superior vodkas which, I’m certain, would do very well in any good vodka cocktail from a Bloody Mary to a Moscow Mule. Still, I decided to first enjoy them in probably their purest cocktail form, the vodka martini. 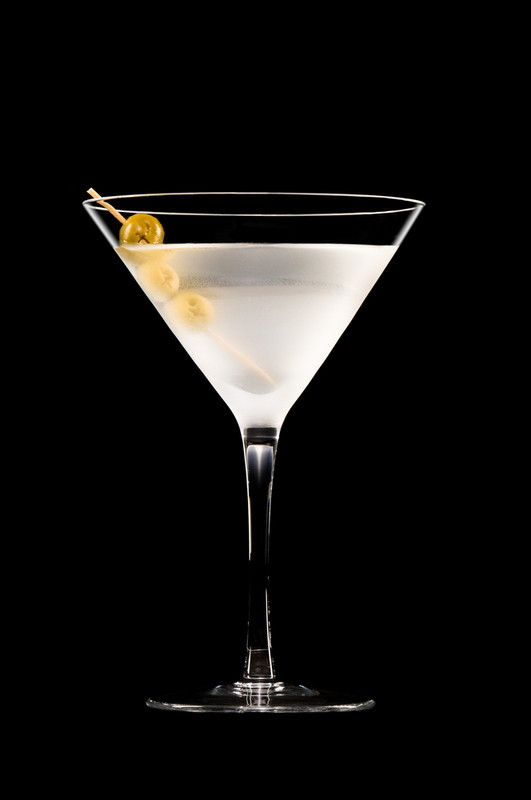 Now, careful readers with long memories may recall that we covered the martini — both gin and vodka — in the first ever edition of DOTW. Nevertheless, we didn’t really give the vodka variation its proper attention as a sturdy cocktail in its own right. (Many will insist it’s not the same drink and they’re not half wrong.) Today, we correct that oversight with, really, the first cocktail that ever became “my” drink and only partially because I grew up with James Bond on the brain. You’ll note that we’re using significantly less vermouth this time around. 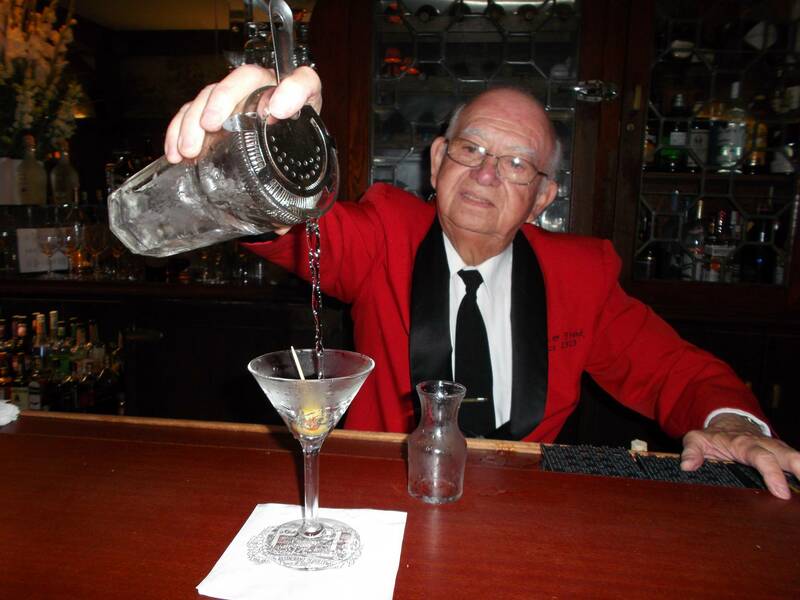 I have to admit to some small consternation when trying this at home that I never quite reached the level of smooth perfection that my very longstanding and extremely good friend, hostess par excellance Dr. R., achieves regularly with her vodka martinis. Apparently, however, her secret involves using just a smidge of olive brine, which technically makes her drink a dirty martini. I love dirty martinis and I’m sure I’ll cover them at some point later on, but that doesn’t mean you have to wait. Apparently, her trick is to just use a drop of vermouth, and a touch of brine and lots and lots of crushed ice — and no bitters. I like my version but, I have to admit, her’s is pretty damn perfect. As for which brand of vodka worked better…that depends. The Moon Mountain is better for those who really like to know they’re imbibing alcohol while being kind to the environment, while the Ketel One is slightly preferable for those who’d like to pretend they’re drinking an intoxicating iceberg. You may wonder why I waited so long to take on this most popular of cocktails. I may wonder why. No, it’s not cocktail snobbery, although it’s true that the margarita hasn’t always been admitted to the most exclusive cocktail clubs. You see, a long time ago, I was a pretty ordinary occasional social drinker who never thought much about cocktails, though I’d sip the occasional vodka martini. (I love olives and figured Ian Fleming knew more about booze than I did). I certainly never thought much one way or the other about margaritas, which I associated with the blended, ultra-sweet, mix laden concoctions that are good for benders at Acapulcos. Then, one night in Las Vegas, I and a friend were lured into the oddly deserted, and now long gone, Las Vegas branch of the famed Santa Fe eatery, Anasazi, with the promise of free drink with our dinner. I chose a prickly pear margarita on the rocks, because I wondered what prickly pear juice tasted like. One day, I’ll have to see about recreating that eye-opening concoction, which first taught me that a cocktail could be a lot more than just booze and that blended margaritas were for the birds. The classic margarita made simply, however, is a thing of beauty it itself. Step away from the blender, abandon the mix, and make yourself an amazing drink. Salt the rim by wetting the rim of your cocktail glass either with water or a bit of lime juice and placing the rim onto a plate covered in salt. Many recipes specify coarse or kosher salt; go for it if it’s handy and you want to go the classic route, but ordinary table salt works about as well. Place glass in the freezer for a minute or two at least (longer is better) to chill, if you haven’t already. Combine tequila, triple sec and lime juice in shaker with lots of ice. Shake like your life depends on it. Strain and pour into cocktail glass. As implied above, the margarita may also be made very respectably on the rocks and built in an old fashioned glass. Up to now, I haven’t had much luck with the brand of triple sec I’ve been using, but lime juice and tequila appears to be the perfect antidote to what ails my particular brand of this very sweet liqueur. I understand the drink will be even better with Cointreau (i.e., expensive triple sec) but it’s hard to imagine it getting that much better because this drink is amazing, especially considering how inexpensive its basic ingredients are, including the Sauza tequila I used. If you really want to go the extra mile, however, try using the juice of several key limes, which are more sour and do an even better job of counteracting the ultra-sweet triple sec than standard fresh lime juice. Still, those key limes are tiny little buggers and a hassle to squeeze by hand. Finally, since it seems mandatory to mention it, I should add that legend tell us that the margarita was developed somewhere in Baja California — either Ensenada or closer to Tijuana — and named after a young German or American woman whose name was either Margaret or Marjorie. Nobody seems to believe these stories very much, and the margarita is similar to so many other drinks that no such story is really necessary. I will say that whoever thought of salting the rim was pretty clever.